Kapil Dev is no longer alone. He has Mahendra Dhoni to join him now. After 1983, Dhoni’s devils have finally, finally brought the Cup home. The nation is too busy partying now, but once it stops, it will be interesting to see what it does. After supporting a triumphant India throughout its journey to the zenith, do the fans ignore the regional identities created by the Indian Premier League for the past few years? Or will they comfortably step back to supporting a Mumbai against Chennai, when the two teams meet at the Wankhede? These are questions which the IPL, now in its fourth season, seeks to contend with, once the season starts on April 8th. The Indian media loves the IPL. Loves it to bits. The IPL has probably given them more scoops and breaking news than anything else in the country. They share a very symbiotic relationship – the IPL needs the media to broadcast itself and to capture eyeballs. The media needs the IPL because it guarantees them a heady mix of cricket and Bollywood – a deadly concoction. It wasn’t always like this though. The BCCI were dead against Twenty20 as a format, when it was first spreading its roots. They discounted it as nothing more than a hit-and-giggle affair. Reluctantly, India sent a team for the inaugural T20 World Championship in South Africa in 2007. Most of the senior players opted out, not really taking it seriously. The selectors decided to entrust the captaincy on the shoulders of a relative newcomer called Mahendra Singh Dhoni. Out of nowhere, he won them that championship. Four years later, he’s won them the ‘Cup that Counts’. The ICL was the actual precursor to the IPL. Called the ‘Indian Cricket League’, the ICL was an unofficial cricket league, having no sanction of any sort from the international cricketing body. It was modelled pretty much on the lines of the IPL. The BCCI were completely against the ICL and used all means possible, to the extent of warning players that joining the ICL entailed the end of their official careers, to bring an end to it. To tap into the frenzy surrounding T20 and as a counterpoint to the ICL, Lalit Modi, the green-eyed-boy of the BCCI then, successfully created the Indian Premier League which had its inaugural season in 2008. In the first season and continuing onwards to the next two, there were 8 city-based franchises all owned by corporate entities: Kolkata Knight Riders, Delhi Daredevils, Mumbai Indians, Chennai Super Kings, Rajasthan Royals, Kings XI Punjab, Bangalore Royal Challengers and the Deccan Chargers. The city-based entities were auctioned off to the highest bidders and never before seen sums of money changed hands; Reliance Industries paid $112.9 m for ownership of Mumbai while Vijay Mallya of the UB Group paid $111.6 million for Bangalore. Bollywood film stars also got into the act with one of India’s top Bollywood stars, Shah Rukh Khan buying the Kolkata team and Preity Zinta, a popular actress buying the Punjab team. But this was nothing. In the first of its kind player auction, audiences gaped as normal cricketers become millionaires in the span of a few minutes. Mahendra Singh Dhoni was paid a cool 1.5 million dollars for his services by the Chennai team with other players commanding huge sums. The first season, despite being looked at with suspicion and accused of destroying the very fabric of cricket, was a huge success. Rajasthan Royals, the underdogs led by Shane Warne won the inaugural tournament. In more ways than one, the IPL was doomed to be successful. The Twenty20 format provides big hits and increases the likelihood of close contests. Plus, it gets over in around three hours, which lets it attract people, who are not fans of the longer formats. The IPL had the official backing of both the ICC and BCCI, which let it clear all official hurdles. It had some of the biggest players in cricket playing and for the Indian viewers, there was also the dash of glamour Bollywood brought to it. The only question was whether the country could adjust to supporting regional identities. The IPL proved it could. The success of the IPL had another effect. 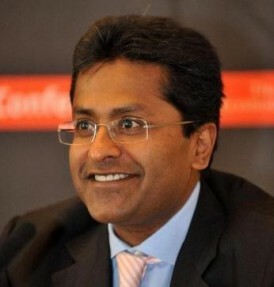 It made Lalit Modi into the poster-boy for Indian cricket. The BCCI went gaga over him. The 2nd season especially made the world sit up and take notice of Modi. The year was 2009 and India was going to polls. Coincidentally, the IPL season was supposed to be held at the same time. Immediately, security and logistical issues cropped up. After much dithering, the government finally expressed its inability to guarantee full security to the IPL if it was held during the election season. The future of the enterprise was in doubt. That?s when Modi made a masterstroke. In the span of a few days, he shifted the entire tournament to a willing South Africa. Take into mind, the organisational issues, the logistical issues and maybe then, one will understand the extent of such a decision. Again, it could have all backfired. But it didn’t. IPL 2 was followed widely in India as well as South Africa, and even if it failed to replicate the success of the last edition, it still was enormously popular. The winners of the second edition were the wooden spooners of the last tournament, the Bangalore Royal Challengers defeating the second-last team from last year, Deccan Chargers. But as they say, pride comes before a fall. Even while Lalit Modi was driving his way up the corporate ladder, there were rumours about scams and scandals. The controversy exploded into full public view during the third edition. In spite of the cricket played, IPL 3 will forever be remembered for the Lalit Modi-Shashi Tharoor scandal which resulted in both losing their positions at their respective organisations. At first, it was all hunky-dory when Modi announced that two new teams would play from the fourth season onwards. Another auction later, the teams were announced to be Kochi and Pune. Over constant rumours about the fairness of the auction procedure, Modi in a Twitter entry, published the shareholding patterns of the Kochi franchise and implied that Shashi Tharoor, the then Minister of State for External Affairs of the country, had derived some benefit from it. This brought about a huge scandal leading ultimately to Shashi Tharoor resigning from his post. Yet, Modi did not remain unscathed and was removed from his post as Chairman and Commissioner of the IPL. In a matter of few days, Modi had gone from the man with the golden arm to public enemy Number 1 for the BCCI who started ordering probes and commissions against him. There are also suggestions that Modi used the auctions to benefit himself and close relatives and friends. Lalit Modi publicly refutes such claims. So, now we’re here. IPL 4, the first IPL without Lalit Modi, will start from April 8th, with Pune and Kochi both participating. Going by the looks of it, it hasn’t lost any of its sheen. This year, all the franchises could only retain a maximum of four players and build a completely new team with a salary cap of $9 million. The auction, this year, was full of surprises. Gautam Gambhir and Yusuf Pathan were bought for the highest amounts, being paid $2.4 million and $2.2 million respectively. What surprised one and all was the complete omission of some players, who were not bid for, at all, by any team. Players like Chris Gayle, Brian Lara, Sourav Ganguly and Sanath Jayasuriya attracted no bids, setting off a whole new school of thought into the dynamics of the IPL. So, what do we look forward to? As mentioned earlier, it would be interesting to see how the country responds to the IPL after the World Cup win. Has the brand value got diluted or will it receive a boost? Also, despite its shortcomings and the many complaints, the IPL does provide some high-adrenaline clashes. It’s also a place where you get players of international repute play along with rookies. Dhoni will be back to lead his Chennai Super Kings, while Jayawardane will lead the newly named Kochi Tuskers Kerala. Kolkata Knight Riders, having perennially flopped in the IPL, will look to finally achieve success with a new captain, Gautam Gambhir fresh off that 97 in the World Cup final. They’ve already faced severe criticism from certain quarters for not sticking with Ganguly and their owner, Shah Rukh Khan, will hope his team can come up trumps. The IPL is also the only place where one can see Sachin captaining, and this season, he will have Harbhajan Singh and Andrew Symonds sharing the same dressing room! After the sour taste of last year, the only thing one can wish from this IPL is that there is pure, unadulterated cricket action without focus on the off-field side. Cut out the booze, glamour and partying; let there just be cricket.